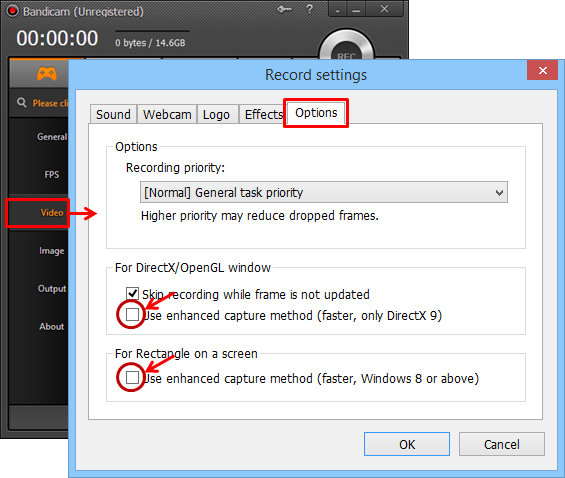 - Added an option, “Use enhanced capture method (faster, Windows 8 or above)”. 2. Improved the recording performance of DirectX 9, 10, and 11. 3. Improved the recording performance of H.264 (Intel QuickSync Video, AMD APP) encoder. 4. Improved FPS recognition of DirectX 11. 5. Added supports for H.264 (AMD APP) of Radeon R9/R7 series. 6. Added a new preset (H.264, 60FPS of Intel/Nvidia/AMD). 7. Added new video sizes in video format settings (1280x800, 1920x1200). 8. The maximum bitrate in CBR has been changed from 20,000 kbps to 100,000 kbps. - Frames dropped when stereo mix or microphone was used. - Failed to initialize AMD APP H.264 encoder when 23.976 / 29.970 / 59.940 FPS was selected. I have upgraded to 1.9.2 and have several questions. Despite that I use Windows 7 which doesn't support enhanced capture my recording performance with Quicksync is much better than before. Is that because I use Nvidia for gaming? Why enhanced capture doesn't work with Windows 7? For Quicksync when will it be possible to use TU4 and High Profile recording for better quality? Bandicam one my system has the fastest Quicksync recording implementation, the missing quality options are the last big downside. And the last AAC encode and decode will be supported from Quicksync in 2014, is that on the plan? 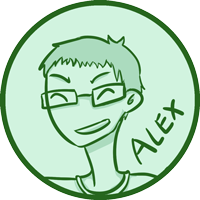 Overall, we've improved the recording performance. If you use Windows 8, you can get better results. Why enhanced capture doesn't work with Windows 7? We will support Windows 7 in the near future. For Quicksync when will it be possible to use TU4 and High Profile recording for better quality? AAC encode and decode will be supported from Quicksync in 2014, is that on the plan? We don't have a plan at the moment. We will consider it in the future. Bandisoft wrote: Overall, we've improved the recording performance. Is it NVIFR/NVFBC related? I assume it is. Bandisoft wrote: We don't have a plan at the moment. We will consider it in the future. 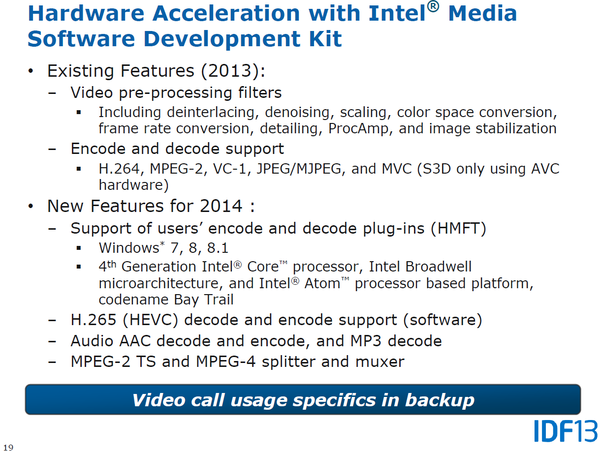 This is what I mean, Intels plans to add AAC encode/decode for Media SDK sometime in 2014. Not sure if it requires Broadwell though. If it means AAC is processed by an onboard DSP and not from CPU it would reduce the CPU overhead compared to MPEG-1 L2 in Bandicam. Let's wait for their SDK. We just optimize the recording function. We may consider it when Intel releases the SDK. For example Trine 2 improved from 35 fps to 40 fps with Quicksync 60 fps recording. Without recording 42 fps, Nvidia Shadowplay runs with 39 fps while recording. Usually during the record of the game I played "Blackshot" which is a FPS game, the video file would kept as 1 file. But after upgraded to this version, it had 2 files instead of 1. The first file is the entire game play. The second file is after the game ended it would go to the score chart and that's when the first file ended and created another file of the score chart. Please advise. nix wrote: Usually during the record of the game I played "Blackshot" which is a FPS game, the video file would kept as 1 file. But after upgraded to this version, it had 2 files instead of 1. The first file is the entire game play. The second file is after the game ended it would go to the score chart and that's when the first file ended and created another file of the score chart. Please advise. That is sort of a game issue. The game changes "rendering mode" (might be a different word for it) when it goes from gameplay to score, then the same when the score to gameplay. Bandicam then loses target, then finds it again, and starts recording again after finding the target. I believe it might because they have tweaked it to support more games (due to other DirectX/OpenGL issues). I don't actually know anything else that could make it act this way.